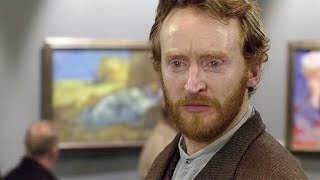 Vincent Van Gogh's brother Theo pays him a visit and encourages him to rediscover his spark to overcome his depression. He calls Vincent an idler, but Vincent is quick to discern himself from a man who chooses to be idle. Rather, he indicates that he would love to work but cannot because of his current situation.